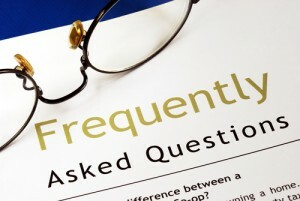 Continuing from where Dealing with Creditors in Probate: FAQs (Pt. 1) left off, below we will respond to some more common questions that people tend to have when it comes time to pay an estate’s debts and deal with creditors in probate. Q – What happens after creditors in probate come forward? What are the next steps in the process? With creditors in probate, some creditors will have priority, and knowing which to pay first can help you avoid being held responsible for an estate’s debts. The estate can pay the creditor in full and resolve the outstanding debt. The estate may work out a debt settlement agreement with the creditor if there are not sufficient funds or assets to pay the creditor in full. The personal representative for the estate (or a probate attorney representing the personal representative) can challenge the debt claim when there is reason to believe that the claim is not valid. The personal representative can do nothing and just ignore the request. In the event that an estate representative suspects that a creditor’s claim is not valid, he should retain an experienced probate attorney to help him appropriately challenge the claim. Q – Is there a priority for paying off creditors in probate? A – Yes. In other words, some creditors will have the right to be paid first, and others that are lower priority will have to wait and may not be able to receive full payment for their outstanding debt if an estate has limited financial resources. Lower priority debts for creditors in probate generally include credit card debts, car loan debts, mortgage debts, etc. When an estate may have multiple creditors coming forward with debt claims, be sure to contact the Denver probate lawyers at JR Phillips & Associates, PC to ensure that you have professional guidance regarding which creditors to pay first. Making a mistake in repaying creditors could result in you being held personally liable for paying back some of an estate’s debts. We will answer some final questions regarding dealing with creditors in probate in the upcoming conclusion to this blog series – make sure you check it out! Do you need help dealing creditors in probate? If so, you can turn to the Denver probate lawyers at JR Phillips & Associates, PC. We provide a thoughtful, professional approach to our clients’ probate needs, particularly when it regards dealing with creditors in probate. While this means that we provide personalized attention at every step of the process, it also means that our clients can rely on our Denver probate attorneys to always be competent, caring and professional while providing them with the highest quality legal services at affordable rates. Let’s discuss your options during an initial consultation. To schedule this meeting, call us at (303) 741-2400 or email us using the contact form at the top of this page.